There is still plenty of gold throughout the country, and prospectors can still find plenty of gold even today. Many people believe that it has all been found, but rest assured that this is NOT the case. Thousands of prospectors are finding gold throughout the country every day, and with the high price of gold these days, there is more interest than ever. One thing that people need to understand when they get involved in gold prospecting is how many of the goldfields are located in very remote areas. This is especially true of the many of the gold bearing areas in the western U.S., as well as many rich areas in Canada and Alaska. If you intend to venture off the beaten path in search of gold, there are a few tips that I have discovered that will greatly increase your odds of navigating successfully and efficiently in the more remote areas. It is also worth noting that safety is of huge importance when you are exploring remote areas, so it is highly recommend that you go prepared with all of the appropriate safety gear, food, and water. Here are a few tips, in no particular order, which should help you navigate some of the remote goldfields. Use a capable vehicle – You should only venture off of the beaten path if you are confident that your vehicle is up to the task. At a minimum, you should have a truck with 4 wheel drive and high clearance. Additionally, it is always smart to carry a spare tire and extra tools so you can handle any difficulties that you may encounter. Use an ATV – If you have one, using an All-Terrain Vehicle makes traveling off-road much more quick and efficient. They handle rough roads with ease, and can be taken on narrower trails that a full sized truck will not fit. Modern day ATV’s are a real pleasure to ride. Of course, always accept your limitations and never take them into an area that you aren’t comfortable navigating. Additionally, always stay on designated roads and trails, don’t ride cross-country. Have quality maps – This is an absolute MUST in my opinion. Have the appropriate maps for the area that you are in, and understand how to read them. For gold mining, it is critical that you can identify public and private lands, so contact your local BLM or Forest Service office for the best maps for an area. I generally carry several different maps for an area that I am exploring. The best map for navigating are the 1:24k scale topographical maps because they have the most detail and sometimes show tailing piles, mines, and other mining activity that is very valuable. An excellent online resource is caltopo.com; you can view and print 1:24k scale maps of the entire country. Bring a compass or GPS – I must admit, I am old-school on this one; I rarely use my GPS unit for navigation. With that said, many people cannot be without them, and they certainly are a handy piece of equipment. You can also mark areas that you find gold, so you can be sure to return at a later date. A simple compass is also a good idea, especially if you prefer to use paper maps for navigation. Even the best of us can get turned around from time to time. Google Earth – Before you ever leave the house, you can locate areas to prospect for gold from your computer. Google Earth has aerial photos of the entire earth, and you can see the exact areas that you want to investigate before you get there. You can even see features like old mines, tailing piles, old shacks, etc. These can all help lead you to rich gold bearing areas. You can also use it in conjunction with your GPS unit to navigate to these spots when you are out in the field. It is a great resource to get a feeling for the lay of the land before you ever set foot there. Successful gold prospectors do not wander aimlessly in search of gold. They use research, draw from past experiences, and safely explore gold rich areas when looking for that yellow metal. I guess you could say that there is a method to their madness. They research areas before they ever leave the house, using Google Earth and researching historic mining literature. Once they have located the areas that they want to explore, using quality maps, compasses, and GPS units to navigate. A quality vehicle is a must, and an ATV is even better. 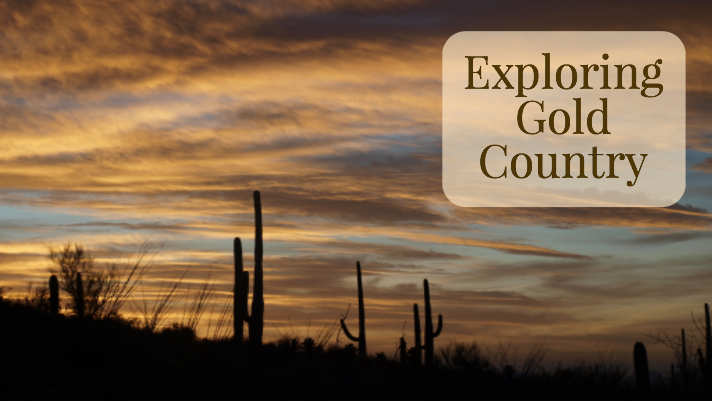 Exploring some of the rich gold districts across the U.S. can be hugely rewarding, and hopefully by using a few of the tactics listed above, you will have a safe and productive search for gold.